South African born Eve and Issac are a sister-brother team based in the United Arab Emirates. Together they have been involved in raising awareness for endangered species, focusing on pangolins and rhinos. Eve and Isaac are both ambassadors for Baby Rhino Rescue and have run successful rhino campaigns at their schools in Dubai – raising money and educating children and adults. They have visited the Care for Wild Sanctuary in South Africa in order to interview its director and personally experience the challenges involved in looking after orphaned rhinos. Isaac self-published a book at the age of seven to raise funds for the Pangolin through Save Vietnam’s Wildlife and raise awareness about their endangered status. 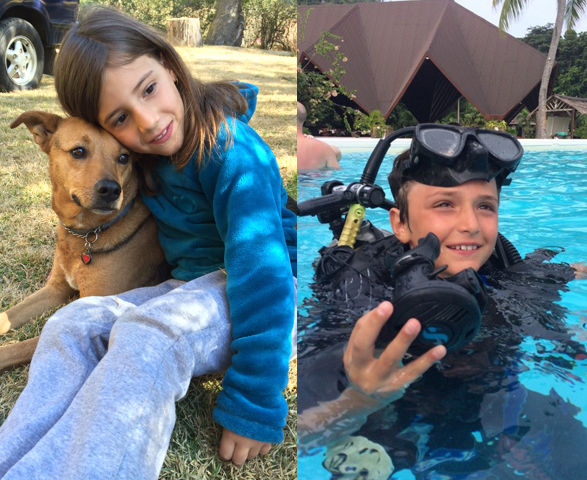 Through their work, they met Carter and Olivia who have mentored them and guided them with conservation projects. Eve and Isaac continue to work towards conservation in South Africa and Dubai. Hello, my name is Evie and I am 7 years old. I was born in South Africa but I moved to Dubai when I was 4. I have 4 dogs: Bobby, Bella, Safi and Gypsy. My dogs still live in South Africa and I love visiting them. My best activities are art, music, dancing and reading. When I first heard that rhinos were endangered and they were poached, I felt so bad. So I made a song about rhino babies and I can play the song on the piano. My aunty startedBaby Rhino Rescue, so I decided to ask her if I could help save the rhinos. That’s how I met Carter and Olivia and they gave me some great ideas. Last summer, I went to a rhino orphan sanctuary in South Africa. I met an adorable little rhino called Zac. I got to play with him. When I grow up, I want to work with injured orphaned animals and when they are bigger I will let them free. Hi, my name is Isaac and my friends call me Isey. I have two sisters, Daniella and Evie. I am in 3rd grade and I love drawing, reading and writing. I also love scuba-diving and can’t wait to go on my first open water dive! My favorite subjects are art, music, and exploratorium (technology). My best book series is Geronimo Stilton. I like Geronimo Stilton because it is adventurous and I learn things about the world at the same time. I have always loved animals and have been committed to working with animals since a young age. My wildest dreams are to go to the Kruger National Park and become a ranger there. I would also love to go to Kenya. I have been lucky to see a lot of wildlife in South Africa and I would like to live around nature, such as the mountains and places by the bush.